This week-end we bottled Erich's third batch of Pale Ale. It should be ready in 7-10 days. Looking forward to cracking one open! 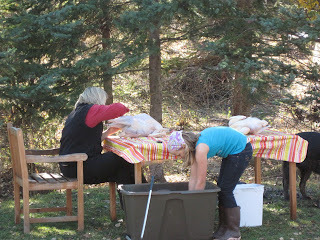 Yesterday we butchered turkeys. After our chicken experience last year, we felt pretty confident we would be able to manage it. I found this video which gives a good description of the process from start to finish. It worked pretty well, although we did end up scalding the birds before plucking them after the first one took us two hours! 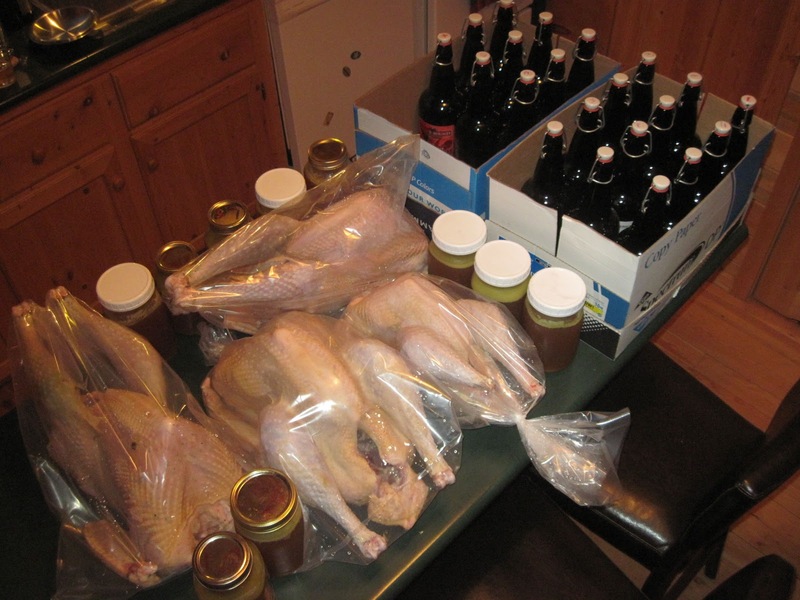 So this is what we ended up with at the end of the week-end...we also made 10 litres of chicken stock from some chickens that ended up getting defrosted when our freezer quit. 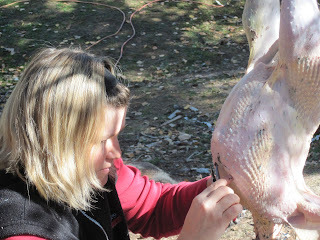 We decided to leave two turkeys whole and this morning I ground up the meat from one and cut up the last one into parts. So all in all a very productive week-end! How did you slaughter the turkey? Is it done in the same way as with a chicken?